The Kingston resident and award-winning designer boasts shows like “Gotham” and “Boardwalk Empire” on her resume. If you notice Lisa Padovani staring at you, don’t take it personally. The award-winning costume designer, whose credits include the TV shows “Mad Men” and “Boardwalk Empire” and the films “Far From Heaven” and “The Notorious Bettie Page,” derives costume inspiration from the people she encounters. Padovani, who calls both Kingston and New York City home, did not plan to be a costume designer. After film school, she worked with a director producing commercials and what she describes as “low budget stuff,” before deciding she wanted to be more creative. She wound up in costume design, working as an assistant designer. “I was always into clothing, used to do a lot of handwork when I was a kid and I was good at it,” said Padovani. She assisted designers on various films, including “I’m Not There,” Factory Girl” and the 50s-era film “Quiz Show,” before becoming a co-designer for “Boardwalk Empire,” and is not averse to taking risks. From the first moments of research to the final fittings, designing costumes has been a gratifying experience. 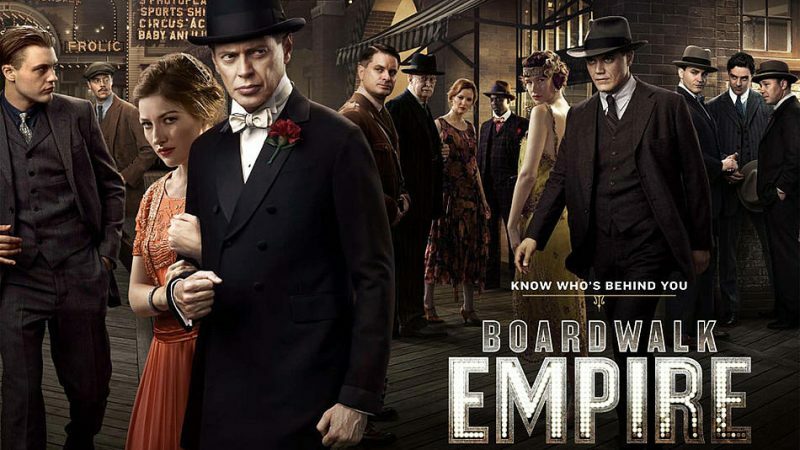 “Boardwalk Empire,” which is set in Atlantic City at the dawn of prohibition, has been her favorite design experience. During the show’s five-year run, Padovani dressed the cast by renting vintage clothes, when possible, and creating new clothes from vintage fabric or retro material, even scouting shiny seamed 1920s-style stockings from a company that makes costumes for Broadway productions. Most of the period clothing had to be recreated, since people are larger now and most vintage material is in poor shape or does not stretch. Design projects begin with intensive research. Once ideas are approved, Padovani and her staff assemble — or make — and finally alter what’s needed, whether that involves tailoring t-shirts or recreating an authentic 1920s slip. A designer might have months to prepare an authentic wardrobe or just a few weeks notice. There was little time to prep “Don’t Look Back,” for example, even though the wardrobe reflected various incarnations of Bob Dylan, played by several actors, throughout a few decades. With “Boardwalk Empire” there was ample budget and enough time to excel. As a designer, Padovani has encountered difficult personalities, although she says that 95 percent of the actors she worked with were wonderful. So far, her favorite has been Jada Pinkett Smith, who played Fish Mooney on “Gotham.” Sometimes actors don’t understand or trust a designer’s vision, but Pinkett Smith was fun to dress. Stars Padovani has worked with include Cate Blanchett, Julianne Moore, Debra Messing (Dirty Dancing remake), Elizabeth Moss, Leonardo DiCaprio and Jon Hamm. While Padovani has encountered many fine actors and professionals during her career, she’s witnessed some sexism and harassment. She worked with former producer and studio executive Harvey Weinstein, now alleged to have sexually harassed a long list of women. Aware of his reputation, she purposely avoided looking him in the eye. During her career Padovani has seen more women empowered in the industry, but progress moves slowly. Currently wrapping her work on the series “Sneaky Pete,” she’s not sure what’s next. As a member of Upstate Women in Film and Television, she hopes for more film work in the Hudson Valley. She wants to write and direct, and recently curated an art exhibit. “All experience is good experience,” she said. Whatever Padovani decides to do next, it will hopefully provide an opportunity to look at strangers and wonder why they dress the way they do. The story was originally published in Hudson Valley Magazine.